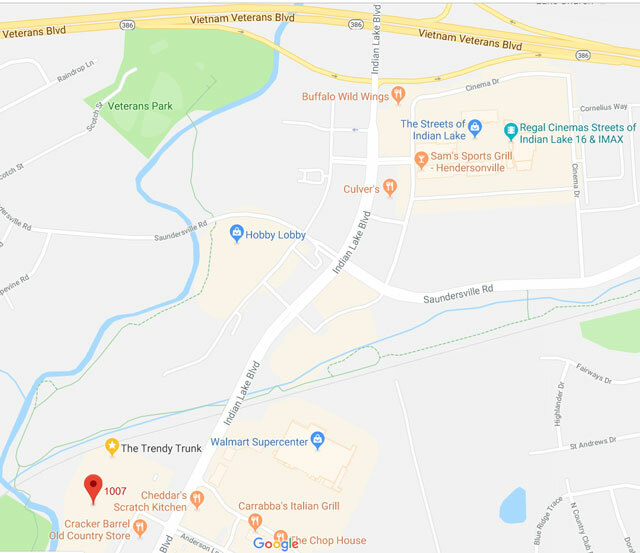 From the south, take exit 7 off of (256)Vietnam Veterans Blvd.,Turn right on Indian Lake, Go to the 3rd light and turn right then right at the first road and look ahead to The Trendy Trunk. We are there waiting on you. From the north, take exit 7 off of (256)Vietnam Veterans Blvd.,Turn Left on Indian Lake, Go to the 4th light and turn right then right at the first road and look ahead to The Trendy Trunk. We are there waiting on you.